Asphalt deteriorates over time because of the sun and weather. Chip Seal helps seal the surface and helps protect the road. Some preparation work will take place throughout the spring, and the Chip Seal process traditionally begins the first week in June. 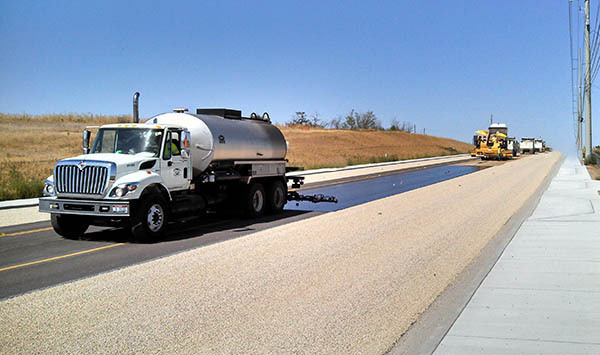 During the 2018 Chip Seal season, ACHD will resurface over 450 lane miles of roadway. Preparing the roadway for chip seal begins in early spring, as weather allows. The 2018 Chip Seal season will begin on June 13, 2018 and last until late August or early September. On-street parking will be affected during each phase. We appreciate your patience during this time as we maintain your roadways and strive to maintain our roadway rating as, "the best in the Northwest".